Oxygen is one of the most essential elements for good health. 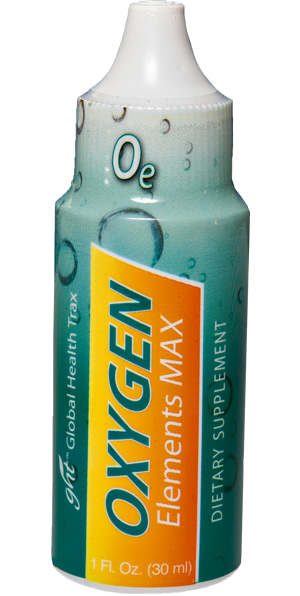 Oxygen Elements Max is designed to distribute oxygen to the cells, increase blood flow, and neutralize free radicals. 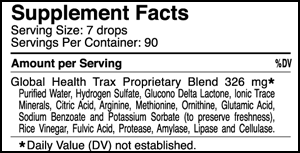 This allows the body to flush lactic acid and more efficiently enhance physical performance as a direct result of sufficient blood and oxygen circulation. While eating, drinking, and merely living our normal daily lives, we are constantly taking unnatural synthetic non-food substances into our bodies. Preservatives, artificial colorings, flavorings, smog, fungi, artificial chemicals, hydrogenated oil, and fumes all contribute to the oxygen depletion in our bodies, not to mention the stress of everyday living. Avoiding all oxygen-depleting conditions would not be easy. The use of of Oxygen Elements MAX, however, may help us combat the effects of oxygen depletion, improving our oxygen levels as well as our chances for having good health.